If you have never considered concrete stamping for your home or business we would love to let you know about all of your options with this wonderful technique. Knoxville Concrete Pros can provide you with everything you need to make an informed decision and get a beautiful new stamped surface. Stamping is a process where the concrete is made to look like a variety of other materials like stone, tile, slate, natural brick and so much more. This is achieved by using molds created from the real stones and patterns so it can be used over and over again for a flawless design. If you have walked around downtown you have probably noticed many different stamped concrete surfaces and may have not even noticed it. This style offers many benefits that make it available to anyone that wishes to accent the interior or exterior surfaces of their home. A lot of people decide to go with actual brick or even pavers when considering what material to choose for a new patio or outdoor surface. The problem with something like concrete pavers is they have joints and spaces that can possibly allow weeds to grow through and displace over time. Stamping is a solid surface that won't allow this to happen and can easily last for decades. Not only does this foster durability and resistance to the elements but it is much easier to install. The ease of installation makes it a lower cost alternative than using the actual materials but it will look just the same! You also have way more options for patterns and colors when choosing to stamp. You can fully customize the design and patterns giving you ultimate creative control, you can even print logos or custom designs! Choosing to work with a professional concrete contractor will open you up to a world of possibilities for your existing concrete surfaces or any new installation you may be considering getting. Our concrete craftsmen can create intricate patterning on concrete patios, driveways, walkways, pool decks, walls, firepits, home, and building exteriors and so much more. It all starts with a consultation to discuss your needs and anything you may want designed custom for you. You can browse through examples of past work to help with your decision. Our contractors will then provide you with a quote before getting started on a new surface you will love. We genuinely love serving the Knoxville community as one of the leading contractors to go to for any and all concrete work. Our customers deserve to navigate through the uncertainties of hiring a new contractor with as little frustration and worry as possible, and that is what we aim to do. 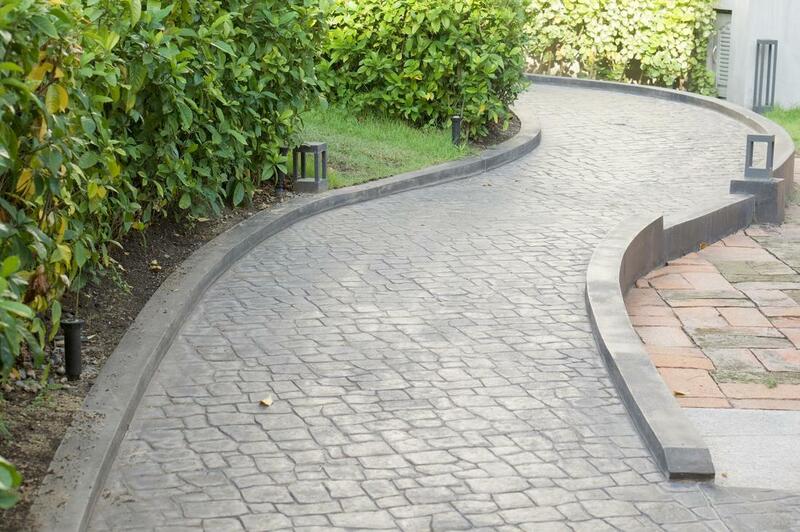 When considering something as seemingly complex as a stamped concrete patio or driveway it can be easy to get overwhelmed with the endless options and quotes that come your way. Give us a call today and see for yourself just how friendly and dedicated our crew is to your complete satisfaction.